The Statue of Liberty was originally meant to go to Egypt, not the U.S. The Statue of Liberty was originally meant to look like an Arab peasant and to be at the entrance of the Suez Canal in Egypt and her flame was to symbolize the light she was bringing to Asia. The sculptor, Barthaldi, fell in love with the Middle East and all it entailed in 1855. Barthaldi returned to Egypt in 1869 with the blueprint of giant statue of a woman that would double as a lighthouse at the entrance of the Suez Canal. Egypt wasn’t reaping any of the monetary benefits of the canal even though it was located in Egypt. Barthaldi realized that he could never put his statue in Egypt, because they didn’t have the financial means. He was heartbroken and sailed to New York. As his ship entered New York Harbor, Barthaldi spotted the deserted, oval island of Bedloe. It was perfect for his statue. 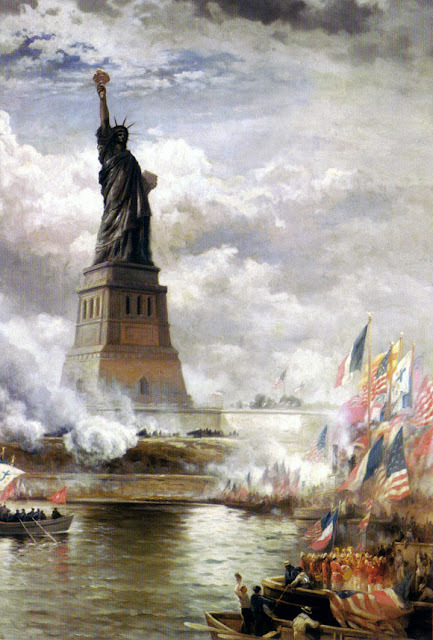 The French and the Americans were friends and between the two of them, they paid for statue. The statue was revamped and sent to the U.S.